Moodle is a "Virtual Learning Environment", the platform or tool used to provide online courses (in universities, businesses, government ...). It's like bringing class home with Professor inside. Communication is easy, because it has different tools (forums and chat), and different ways of organizing content area (lessons, web, wikis ...), and even activities (surveys, tests ...). And it's free! Some of the advantages is that the students can work together to resolve questions and solve problems and also can keep improving the content of study and completing the matter according to current needs. These courses are "closed", meaning only accessible if you are registered with your user name and your password (be carefull not lossing data!). So, nobody outside the class is allowed to participate. We will completing this "academic course" gradually. As you see, the index and instrucctions are yet organized, and also include the short version of Moodle Manual for Teachers (Read all of these things carefully!). From now on you who will have to go to them completing sections "content and activities". We will use several class sessions to work in the computer lab, but you can also do some work from home. 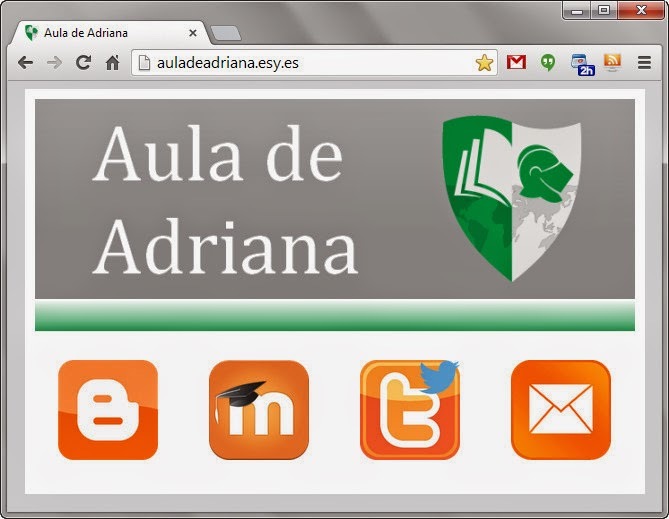 You can see more information on this presentation of Moodle in Mª Jesús Camino’s blog.